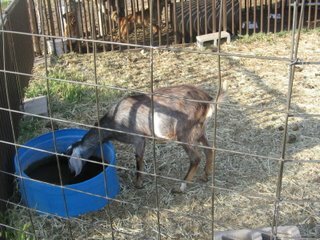 Paperclippings Blog: Milking a goat!? 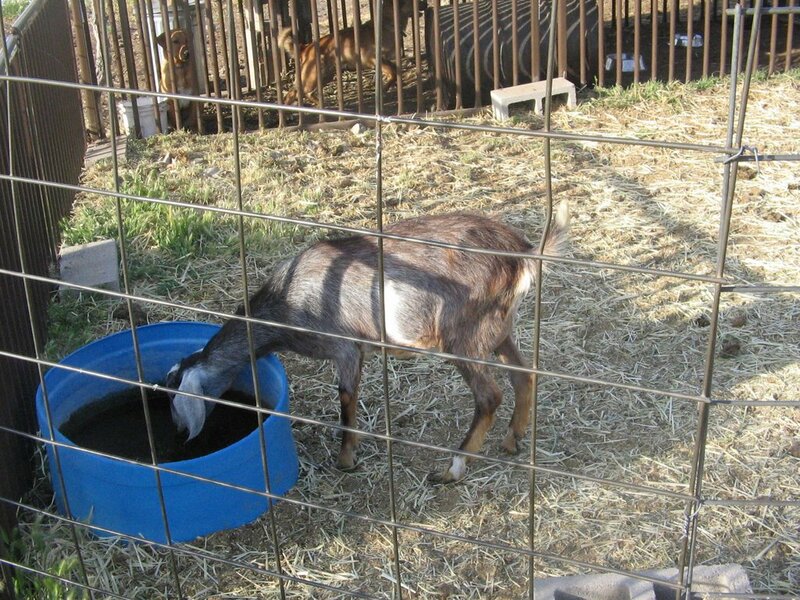 Paperclippings Blog: Milking a goat!? Okay, so I am finally able to get to my own blog. I just finished adding a section to my website called "What I Believe...". It goes into some depth telling what the LDS Church believes. This was a major project which ended up added about 30 + pages to my website. I think my site now has over 500 pages in all. Sometimes, life is just funny. This afternoon I got a phone call from a neighbor. She is planning to head out of town for a week and wanted to know if we would help take care of her goat while she is away. This would include milking it twice a day. Now I have taken care of dogs, cats, the mail, the lawn...but never milked a goat before. I grew up in suburbia. The closest we got to a farm animal was a visit to a petting zoo. That is until we moved to our present location. One day last summer we found ourselves with a young cow in our front yard. On other days it is not uncommon to find a herd of deer in our back yard. But the funniest one was watching a dog chase an emu through the neighbor's fence. That emu didn't even slow down for the fence. So, I took the kids (human kids) up to the neighbors so we could learn how to milk one of her goats. We will see how well this goes. I'll let you all know if I get kicked by the thing or if I fall in anything. That being said....pull out some recipes for goat cheese and you may have something there. hmmm goat cheese...there is an idea. I'm a big milk lover. I was bovine for most of my life, but I recently switched to goat's milk--from Whole Foods, not straight out of the goat...although I drank fresh-fresh goat's milk (right out of the goat) when I spent summers on a Greek Island as a kid (no pun intended). When I was visiting family in upstate N.Y., there's deer everywhere. EVERYWHERE (ya, in the backyard). I would like to be a milk drinker...but milk does not like me. I think the deer herd will disapate somewhat after they build the 40 houses going in the big field behind our house. There goes our view of the mountains though. I will have to remember that term.